Whatcom creek runs through downtown Bellingham and is a popular place for sports fishermen looking to catch chum salmon. Whenever I see salmon in our local streams or in far-away wild places, it reminds me of the endless cycles of the seasons that often seem to go unnoticed. It’s changing from fall to winter bringing big winds and rain. Leaves from the maple trees have all blown down, and the trails are muddy from the fallen leaves trampled into the soil. When the rain and the wind come to my home, I know that soon the chum salmon will too. And along with them, bald eagles and people will appear along the banks of our urban streams. All these things have come to symbolize to me that another cycle for the David B has ended. Fall and winter are a busy time for us. Each year in October our trips are finished and it seems like spring is impossibly far away. I drive around town picking up parts for the boat, the mail at the post office, and doing other off-seasons tasks. I often go past Whatcom creek, a small salmon-bearing creek that empties into Bellingham Bay. The in-town anglers line up, elbow to elbow along a retaining wall for their chance to catch a fish. The other day when I saw the crowd of fishermen it reminded me of a day few months earlier in mid-July when I was kayaking with some of our guests in Alaska — Cannery Cove at Admiralty Island to be specific. It’s one of the most scenic anchorages we visit — almost unbelievable in it’s beauty. From our anchorage, the 3800-foot high Bear Pass Mountain rises right from the edge of the cove. Between the water’s edge and the top of the peak an ancient forest covers the side of the mountain. The boughs of those old-old trees seem to cling to the slowly rising wisps of clouds. Ravens fill this basin-like cove with their throaty “kwork-kwork,” calls while eagles whistle from their high perches atop of impossibly tall trees. Multiple waterfalls are visible as they tumble down Bear Pass Mountain forming cold and snow-fed salmon streams. Here the chum salmon run earlier than those in Washington state. A brown bear walks the beach in Cannery Cove where chum salmon come home to spawn in creeks that feed into the cove. On that day in July we kayaked to a spot where I’d seen a brown bear the week earlier. I figured I might as well check it out again, and sure enough, almost as if on cue, a bear ambled out onto the beach. It was, like the scenery in Cannery Cove, almost unbelievable. My guests followed and we watched the bear eat grass, dig a little around the beach and walk along the water’s edge. As I held my kayak in place, dipping my paddle into the water and pulling back slightly, I focused my eyes into the shallows below my boat. The water was clear and I could see a deeper dark-bluish-green channel that lead through the tidally-submerged mudflats at the head of the cove. Something caught my eye. It was a school of chum salmon swimming purposefully through the deep channel. These fish were nearing the end of their life-cycle. Their bodies already showed the changes that salmon go through on their way to spawn in freshwater. No longer were they the sleek and silver salmon of the Pacific ocean, they were now greenish with distinctive purple tiger-stripes. If I’d been able to scoop one of them out of the water, I’d have seen that their mouths were developing a hooked snout and canine-like teeth. These changes were in preparation for their final stage in life — migration up their natal stream for their chance to spawn and to end one cycle while beginning another. Chum salmon in the fast waters of Whatcom creek in Bellingham. Our cyclical lifestyle is defined by our sailing season and our off-season. We’ve finished with our wilderness adventures on the David B for the year, and we’ve prepared it for winter. We’ve finalized our project list, and put a winter cover over the boat. Is it the beginning of a new cycle? Or the end of the old? It’s hard to know and it doesn’t really matter where the line is. What does matter is that during this part of the cycle we get to reconnect with past passengers who are planning to return to the David B, and connect with new people who will travel with us for the first time. In a few months the David B will emerge with fresh paint, new varnish, and upgraded systems. Soon after, we will set off for new adventures. And a new cycle. 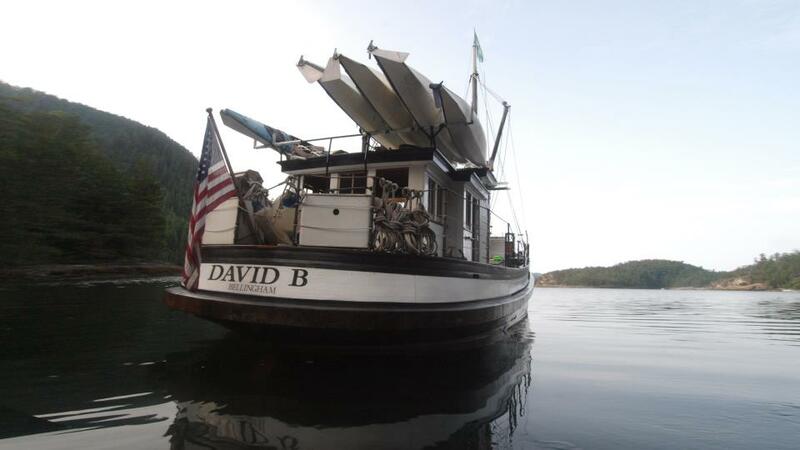 Everyday I think to myself how lucky Jeffrey and I have been able to run the David B as a tour boat for the last nine years, and that we’ve been able to share with our passengers the most spectacular places in Southeast Alaska. As we move deeper into the holiday season and I’m constantly bombarded by the advertisements to buy more and consume more, I think about how much I enjoy my experience-based business. On days where I have to reluctantly go to the part of town with the big mall and its traffic, or I listen to people talk about the drudgery of buying gifts, I always wonder why more people don’t give the gift of an experience? Maybe it’s a small thing like a day trip to a nearby nature preserve, hotel stay, dinner at a special restaurant, or something really big like a trip in Alaska on the David B. I know my favorite gifts have all been the ones where I’ve spent time with the people I love and the memories I have from those experiences. Here’s one of my favorite memories from our 2014 season. We were cruising near Admiralty Island and we came across a couple dozen humpback whales feeding. They were spread out far from each other. The weather was calm, the skies were clear. We stopped. Jeffrey shut down the engine, dropped an underwater microphone (hydrophone) in the water and just listened and watched. Soon two humpbacks surfaced nearby the David B. Every so often we get a chance to see something a little unusual. One day while hiking at Fords Terror, we stopped to watch the reversing tidal rapids when a medium sized iceberg got sucked through. [pix_dropcap]O[/pix_dropcap]ne night in July as we pulled into a little cove on Admiralty Island we noticed a small camp on the shore of our intended anchorage. There was plenty of speculation on the bridge-deck as to who the group might have been. One thought was that they were kayakers hauled out for the night, another thought was that they were locals out camping. The speculation ended when we were hailed on the radio by a familiar voice. It was Kevin, a Forest Service employee who we’d met several years ago when he was a Wilderness Ranger who patrolled Tracy Arm/Fords Terror wilderness area by kayak. He’d seen the David B cruise past a peek-a-boo opening in the cove. As he talked with Jeffrey, we learned that the group on shore were all volunteers who had come to Admiralty Island as part of a program of invasive weed eradication. The weed was hemp nettle, a European plant most likely brought to Admiralty decades ago where a cannery was once in operation. We also learned that Harry, our US Forest Service permit administrator, was also on shore, which was exciting because in all the years of running the David B in Alaska, we’d never actually met face-to-face. We anchored in the unnamed cove which separates Good Island from Admiralty Island. We decided that our evening activity was going to be kayaking and that I’d take our guests for paddle around the cove, while Jeffrey would skiff ashore, chat with the rangers and offer some cookies to the volunteer weed-pullers. The paddle was pleasant. There were ravens somewhere out-of-sight, but their deep”kwark-kwark” calls were unmistakable. We looked for sea-stars in the shallows and watched salmon jump. A couple of seals followed us at a respectable distance. When we returned, Jeffrey was already back at the David B. He had arranged for Kevin and Harry to come to the boat the next morning to talk about their work, the Wilderness Act of 1964, the Tongass National Forest, and Admiralty National Monument. The words were penned by Howard Zahniser, an activist with the Wilderness Society, and after Kevin read those words we chatted about the beauty of the phrase “untrammeled by man,” Certainly the scene around us fit that description. The forest was thick with tall spruce and hemlock trees, and a deer cautiously walked on the shore of Good Island, while an eagle soared overhead and another perched high atop a spruce. We talked a long time that morning, maybe longer than we intended, but our guests were genuinely interested in the wilderness and had many questions. Time past quickly as we continued our discussion about the nuts and bolts of the old act signed into law fifty years ago. Kevin was talking about how the Act affects us all, when suddenly my eye caught something shimmery — a huge school of salmon. I couldn’t help myself but shout out, “look, look!” Alaska never fails to outdo itself. We all stopped to watch school swim close by the David B. The salmon were on their way to spawn and continue the cycle of life. There was nothing more to be said. Mother Nature just had the last word. We just got back from our first trip of the 2014 season. It was a lovely 4-day cruise with wonderful family of six on board. We left Bellingham and motored to Stuart Island. Along the way we found a bunch of Steller’s sea lions lazing on Spieden Island’s Green Point. They made a few guttural grunts, but otherwise they took little notice of us. 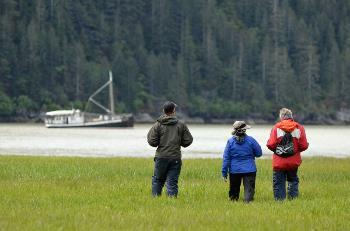 When we arrived at Stuart Island’s Reid Harbor, our guests went ashore for a walk to the Stuart Island School House. While they were away, I spent the early evening making a Coq au Vin for dinner and a fresh berry parfait for dessert. While I cooked, I listened to the calls of a family of osprey that nest in the harbor. The next day we went kayaking and slowly paddled along the shoreline to look for sea stars, crabs, and anything else that we could find. While we paddled, two bald eagles came flying in pursuit of an osprey. It was a little like those World War II dog-fights. The osprey eventually gave the eagles the slip and soon returned to its nest. The eagles flew off to the other side of the island. After we returned from kayaking, we raised anchor and cruised over to Roche Harbor on San Juan Island. Our guests went for a walk to the McMillian Mausoleum. Jeffrey went up the dock with them and I stayed on board to prepare a special Mother’s Day dinner. I noticed that it was taking Jeffrey a long time to return to the boat and I wondered what happened to him. When he returned, I discovered that he joined our guests for an ice cream treat from the Roche Harbor General Store. Later that night we anchored in Garrison Bay. The highlight for me was watching a bald eagle swoop down from a tree and catch a fish. It then took the fish to the beach and was joined by two patient crows who waited from the eagle’s scraps. On the third day of the trip, we motored back to Roche Harbor. Our guests had arranged for a special side-trip to Zip San Juan for a zip line adventure. The zip line folks met our guests in Roche Harbor. They were gone for about three hours and when they retured, they raved about how much fun it was to fly through the woods. We left Roche Harbor and cruised up President Channel to Sucia Island. It was a beautiful sunny afternoon. Once we were anchored, Jeffrey took everyone ashore for some beach combing. When they got back, they reported that they’d seen a family of river otters. Sometime after I went to bed, the wind picked up a bit. 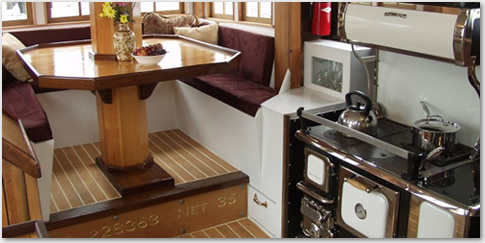 From my cabin below deck, I could hear the wind in the trees and the lapping of tiny wind waves on the hull. I loved the sound and tried to stay awake longer, but soon I fell asleep. In the morning the wind was still blowing, but I didn’t think about it too much because it was Croissant Day. I love making pastries, but I really, really love making croissants and pain au chocolat. After they were out of the oven, they (the croissants) didn’t last long. Once breakfast was finished, we took the kayaks out once more. There were tons of purple sea stars and leather stars. We paddled for almost two hours before returning to the David B. On our way back to Bellingham one of our guests, an eleven-year old steered the boat with me and Jeffrey. I think he spent most of the way back at the wheel. I enjoyed watching him and answering his questions. It was a fun way to start a new year on the David B. 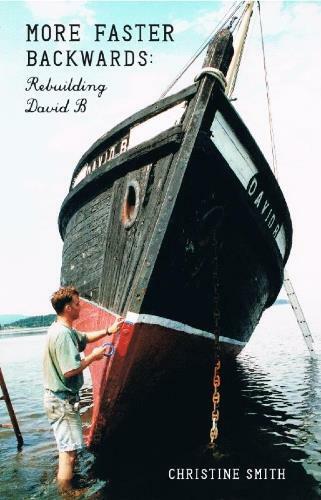 When we bought the David B in 1998, we knew that we’d be battling a lot of uncertainty. First we needed to rebuild the boat, a project which we initially thought would take two years, but instead took eight. Then we needed to learn how to run our business, get people’s attention, and fill up trips. At times figuring out how to get people to find us and come cruising with us has seemed like an impossible task. We struggled through the economic downturn by doing whatever we needed to do to keep advertising, paying the bills, and taking care of the boat. Finally going into our ninth season, the David B is mostly full, and it looks like we’ll have our best season yet! We attribute this to our wonderful passengers who keep coming back and keep sharing their “secret getaway” with their friends and family, and that everyday that we’ve had the David B, we’ve stuck to our plan of offering the best nature cruises in the San Juan Islands, Inside Passage and Alaska. We still have a few spaces left for this summer, so hop on over to our website and have a look at our 2014 schedule. It’s springtime and the David B is looking fantastic and we are getting more and more excited about our upcoming season. 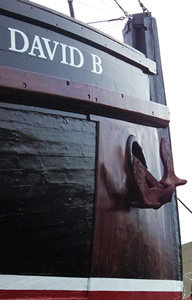 Over the winter we have been busy making the David B better than ever with several big improvements. The first is that we moved the exhaust from the back of the boat to the port side. This lead to the second big improvement — no exhaust pipe through the dining table! 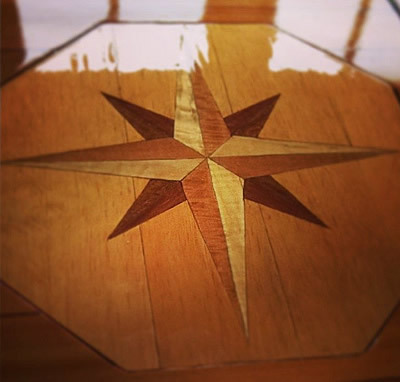 To fill the space where the exhaust pipe used to go we commissioned a local artist/boat varnisher, Annie Patrick to create a new inlay piece for the dining table. She’s done an amazing job! Below is a sneak peak at our first test-fitting of the inlay artwork. We can’t wait for you to see it in person! Over the next few weeks we’re going to be meeting with a Bellingham winemaker and a local dive master for a couple of new and exciting trips in the San Juan Islands! We’re just starting to put our heads together on these cruises and we’ll have more information by mid-May. If you are interested in either a wine appreciation cruise or a scuba mothership cruise. Let us know! We’re very excited to announce a special Alaska cruise for next summer 2015. 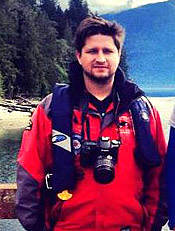 We’ll be hosting Killer Whale researcher Josh McInnes as a guest naturalist aboard the David B. While we’ll be shifting the focus of this cruise to spend more time with whales, we’ll still be hiking, kayaking, tidewater glacier viewing, and looking for bears. This trip will sell out. Josh is currently working towards a graduate degree on transient killer whale. He is very interested in foraging and diet studies and the ecological relationship exhibited by prey. Besides conducting research, Josh has been a whale watch guide throughout British Columbia and was recently interviewed for the upcoming documentary Fragile Waters. He is also conducting independent research on killer whales with a small group of volunteers. 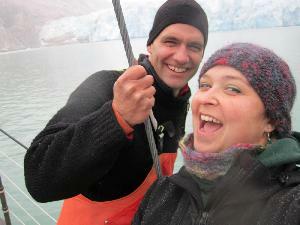 We’re looking forward to having Josh on board and to the new insights on killer whales he brings through his research. We hope you’ll join in on this new trip. As always,feel free to call us toll-free call at 877-670-7863 — or send an email.We’d love to hear from you! Don’t miss the boat! Call 360-201-8184 or email us to book your space.View our 2014 schedule. This is the time, the holidays are nearly over, and in a couple more days it will be back to the January winter grind. The relatives have come and gone, the holiday parties are almost over. It’s not too early to start planning something fun for the summer and give yourself something to look forward to during the rest of the cold winter months. August trips on the MV David B are warm and sunny. Desolation Sound is hot enough that it makes for great swimming (really — often 70°F water and 85°F air temps). 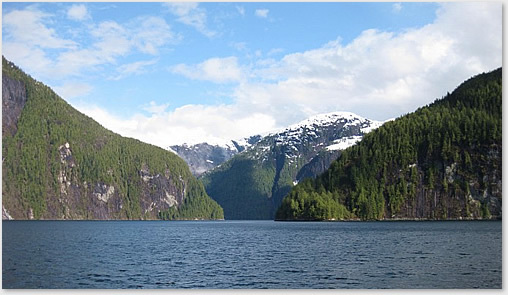 We stop there on all of our Inside Passage trips. Or maybe you want to see something new and amazing that you’ve never seen before, like glaciers calving into saltwater fjords, or whales feeding, or salmon spawning or bears meandering along a remote beach in Alaska. Now, there’s an adventure to look forward to! The problem is, we’re filling up. We are almost sold out for Alaska trips for 2014. We just posted our 2015 schedule because we’ve had a number of inquiries into dates that far into the future. We’re super excited about finally getting the word out about just how amazing trips on the David B are, but it does mean that you might need to plan a little farther into the future. We still have spaces on 2014 Inside Passage trips. Give us a toll-free call at 877-670-7863 — or send an email. Happy New Year to All ~ See You in 2014! We’d like to take this opportunity to thank all of you for your patronage and continued support, and look forward to sharing more exciting travel adventures with you in 2014 aboard the MV David. B.
Don’t miss the boat! Call 360-201-8184 or email us to book your space. Traveling as a kid was so much fun. You didn’t have to worry about anything and you still got to enjoy all the same sights. You could watch the world go by, albeit from the backseat window, but you still could see it all. Someone else took care of making sure you got there and making reservations and all that. All you had to do was look out the window and enjoy the ride. When you finally arrived, you got to explore and find things: the ice machine at the hotel, or the trail to the beach from the campground. It was un-scripted. You could run off and play and “discover” stuff. I even had my own little Instamatic camera that I could use to take photos of the cool stuff I found. Traveling Aboard the David B.
Cruising aboard the David B is a lot like traveling when you were young. Yeah, you do have to make your own reservations and get yourself to the boat, but once you’re aboard, you really can just look out the window and enjoy the ride. You can go for a hike and “discover” a few new things (and they’re going to be way more exciting than an ice machine.) You can paddle into a cove you’ve never seen before. You can watch the world go by out the galley windows, or you could also watch it from the Bridge, and capture it with a camera that’s a whole lot better than that one from 1965. And you still won’t have any of the responsibilities. Someone else will make sure you get there. Our new 2015 Sailing Schedule is now available! Be sure to stop by our website and have a look at our 2014 schedule. We have lots of great cruises in the San Juan Islands, Desolation Sound, and Alaska. Last summer Jeffrey and I were standing on the back deck talking with one of our guests. He said to us that one of the best things about the David B was how much being aboard the boat reminded him of all the comforts of being at his grandma’s house. We’ve been thinking about that this winter. 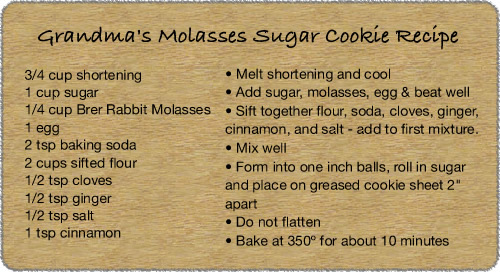 Here’s the first part of a series that we originally published in our newsletter. If you can’t see the newsletter below here’s a link to the newsletter. Traveling aboard the David B is a lot like going to grandma’s. You get to enjoy all that great food, and do what you want. You’re free from all those chores, and you can just play (in that adult way). What used to be, “be home by dark” is now “paddle your kayak back in time for dinner” but it’s the same feeling. And since you’re an adult, you can do all that and you can even sit around and talk about someone’s gall bladder if you want. It’s about that childhood feeling of being free. Be sure to stop by our website and have a look at our 2014 schedule. 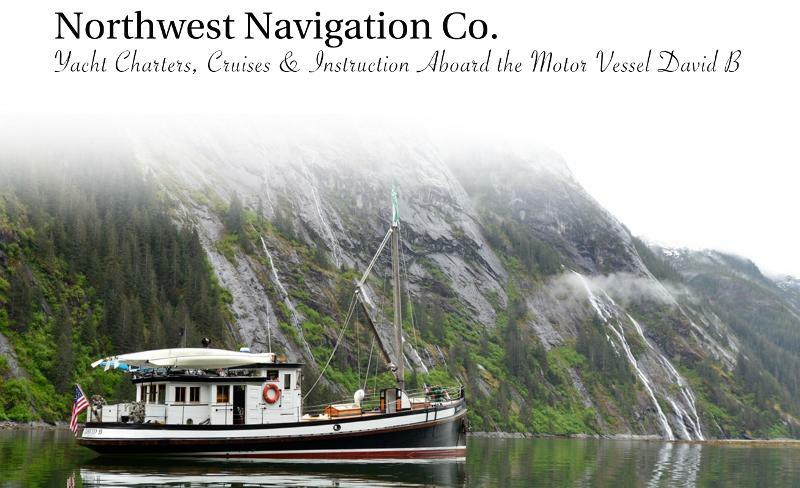 We have lots of great cruises in the San Juan Islands, Canada’s Inside Passage, and Alaska. Cruising on theDavid Bmakes people happy! Earlier this summer my book, More Faster Backwards: Rebuilding David B won 1st place in True Adventure from Chanticleer Book Reviews! We were in the middle of our cruising season (I had just dropped the anchor in Alert Bay, BC. when I got the news.) and so I couldn’t attend the awards ceremony. Just recently I received a beautiful blue ribbon and a very nice review from Chanticleer.